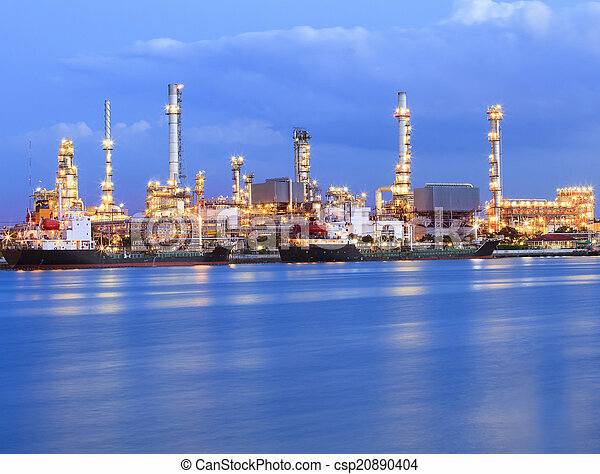 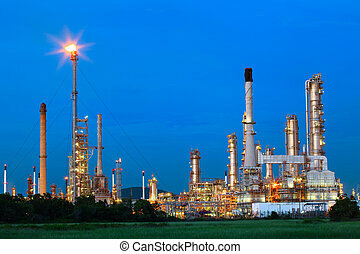 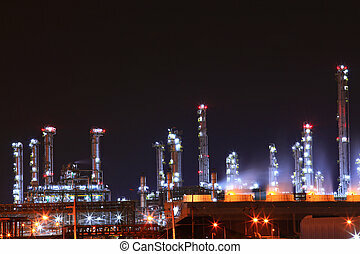 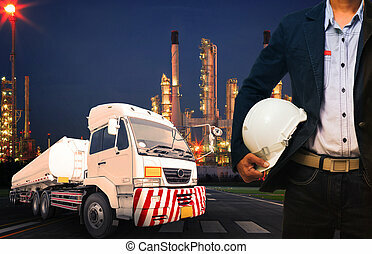 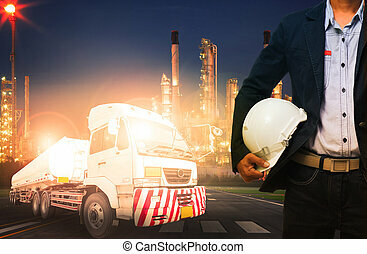 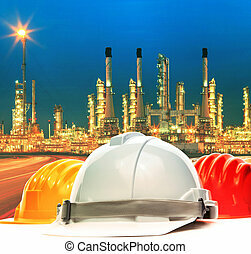 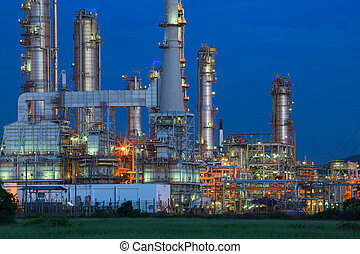 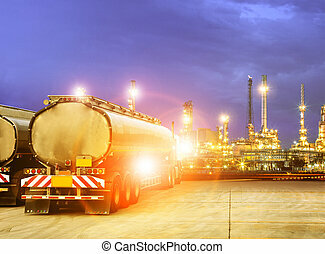 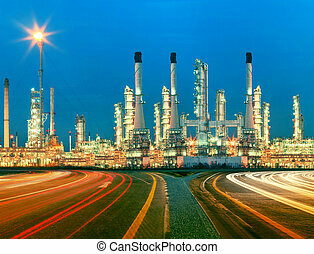 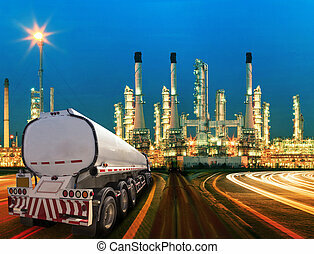 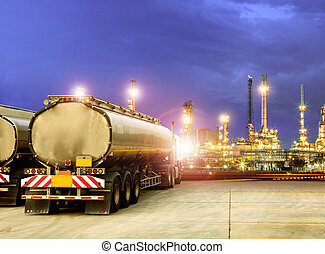 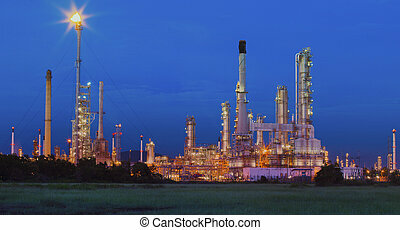 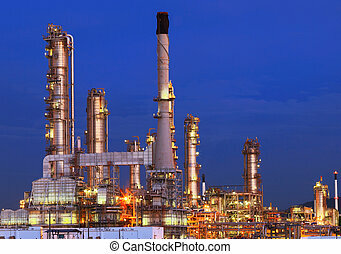 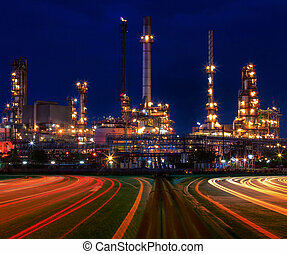 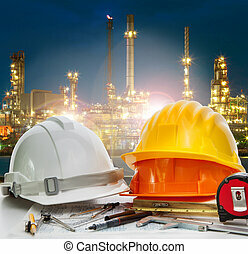 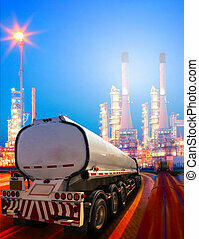 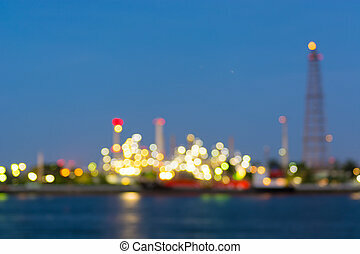 Beautiful lighting of oil refinery industry plant beside blue river use for energy industrial business theme. 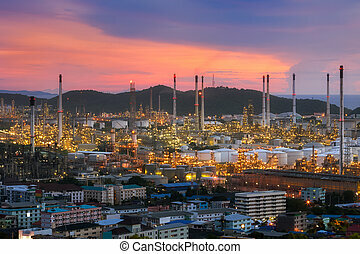 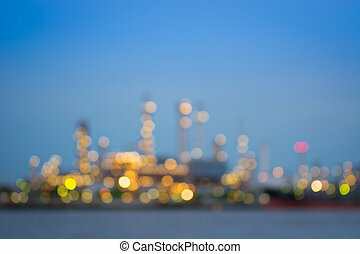 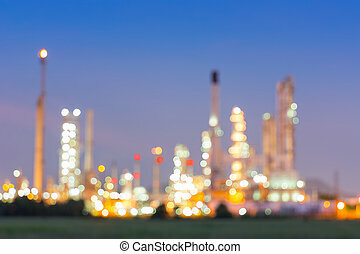 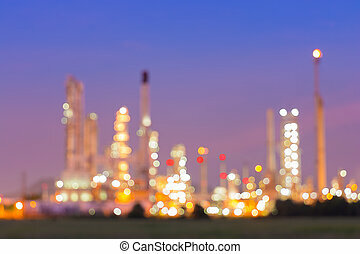 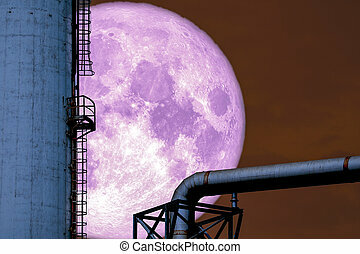 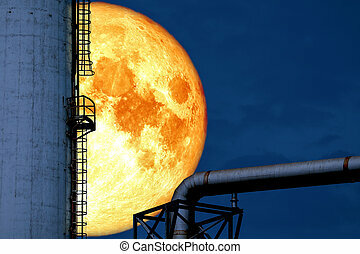 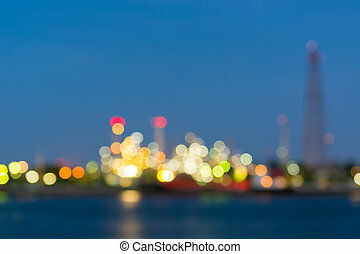 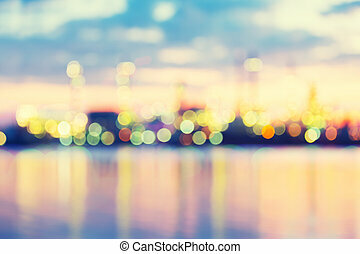 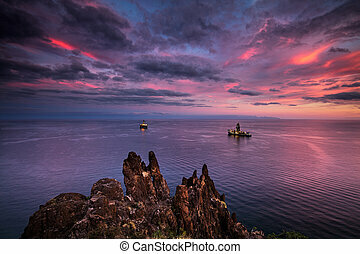 Bokeh of oil refinery factory at twilight, vintage color tone. 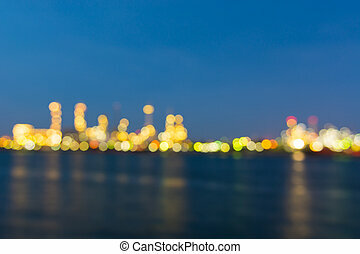 Bokeh of oil refinery plant at twilight, Blur background. 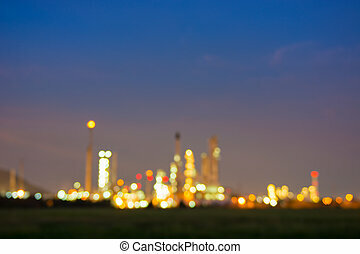 Twilight of refinery bokeh background.